Please check your seat number in the pictures of each artiste you have chosen from the application form before. If you can’t find your seat number that means you missed a chance to get an autograph OR your chance might be randomly selected for another artiste. So please check through other pictures too. 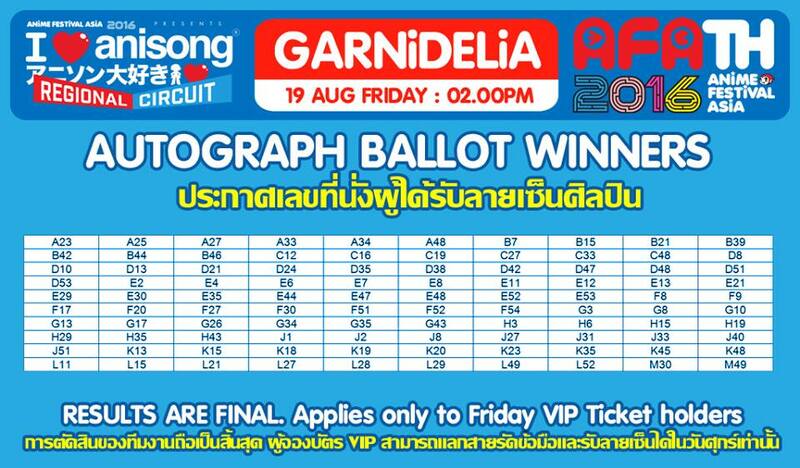 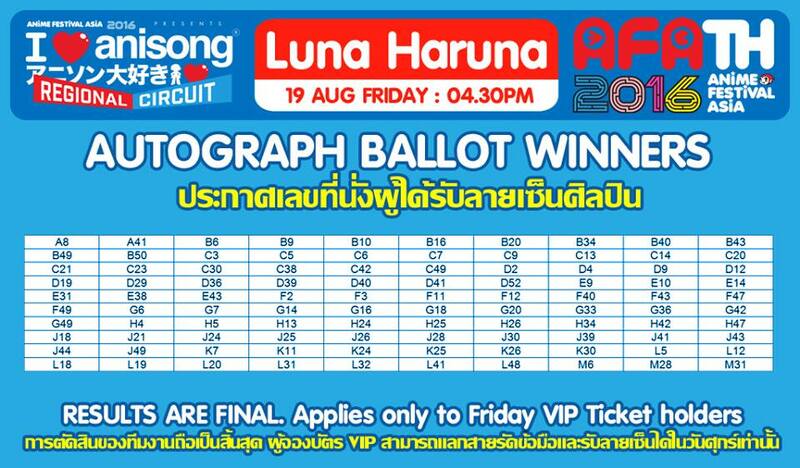 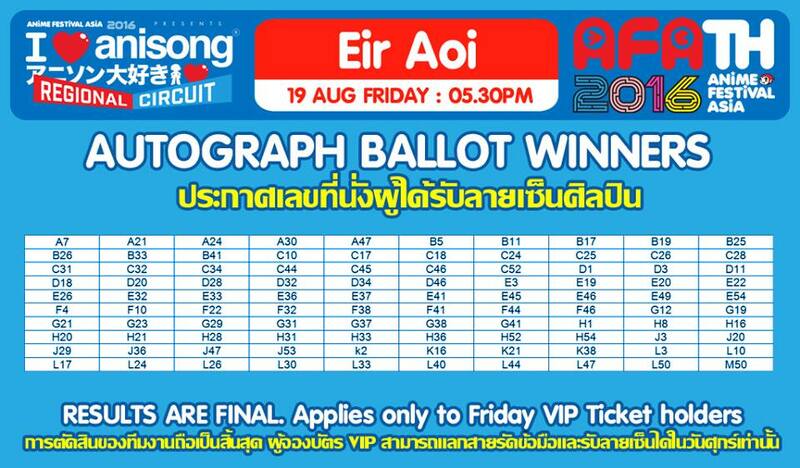 For autograph session on event date, come 30 minutes beforehand and present your ID card or passport which shows your name and information that is identical to what you have input in the application form before. 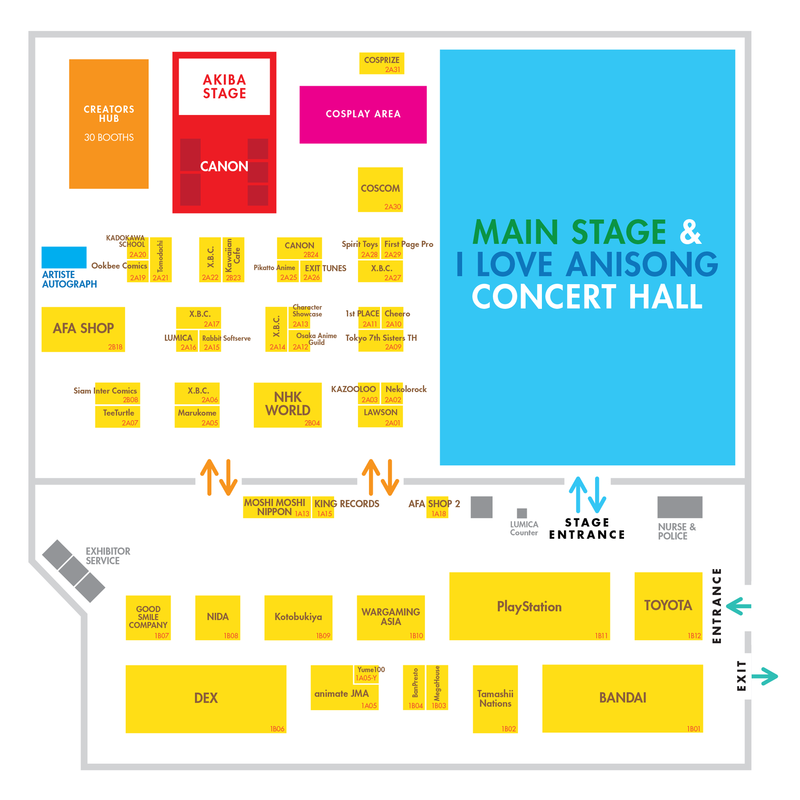 Autograph session is in the blue point at the left side of FLOOR PLAN.